This is the website for FBME Limited, the holding company for FBME Bank, its Head Office and its branches and representative office in Tanzania, Cyprus and Russia. The website has been produced in response to the actions of the Central Bank of Cyprus in taking over the running of the Cyprus branch of FBME Bank. That action by the Central Bank has resulted in an almost total barring of the release of public information and advice to FBME customers and associates, and even messages of support and encouragement to its staff. As a result, the holding company has created this website as a way of releasing information it feels should be in the public domain. Ayoub-Farid Michel Saab (Farid Saab) banker, born 14 July 1939 in Teheran, Iran and moved to Lebanon at the age of 12. He studied Economics at the American University of Beirut and speaks English, French, Arabic, Russian, Iranian and Armenian. 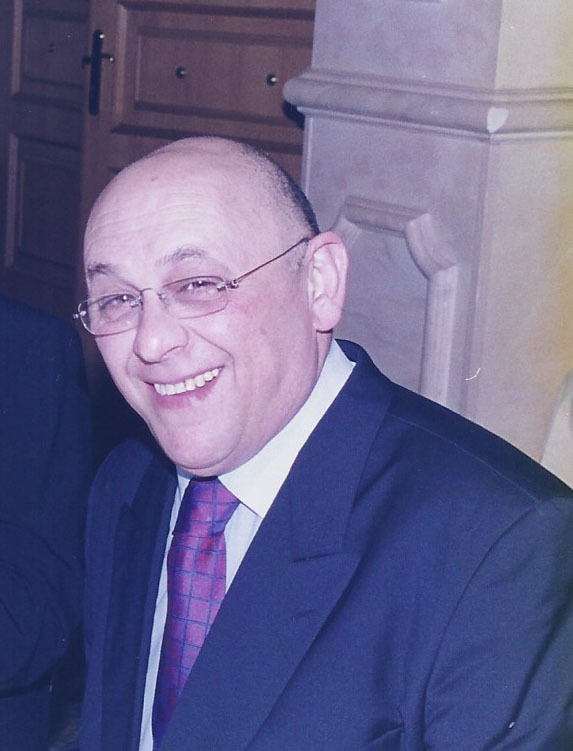 Farid Saab was appointed Vice President at Federal Bank of Lebanon (FBL) founded in 1952, by his father, Michel Ayoub Saab and his uncle Joseph Ayoub Saab. He served FBL as Vice President from 1982-1991 and Chairman from 1991 to date. Farid Saab together with his father Michel Ayoub Saab and his brother Fadi Michel Saab founded FBME Bank Ltd (formerly known as Federal Bank of the Middle East). Farid Saab was appointed FBME’s Executive Director at inception from 1982 until1991. FBME’s first Board of Directors comprised Michel Ayoub Saab, Ayoub-Farid Michel Saab and Fadi Michel Saab. Farid Saab continues to serve FBME Bank as Non-Executive Chairman to date. Arab Financial Services (AFS), one of the Arab world’s largest financial services company, incorporated in Bahrain was founded in 1982 by the Union of Arab Banks. At inception Farid Saab was elected a member of the Board of Directors of AFS and acted as one of AFS’s three founder Executive Directors. He served the Board of Directors of AFS up to the year 2000. Farid Saab served Visa International’s Regional Board, EMEA (Europe, Middle East and Africa) as Member of the Board of Directors from 1986 to 1996. Upon inception of Visa international’s new Region, CEMEA (Central, Eastern Europe, Middle East & Africa) Farid Saab was elected Deputy-Chairman of this new Region in 1994 to 1995. 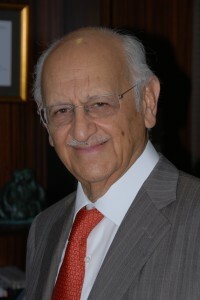 Farid Saab was furthermore appointed member of the Board of Directors of Visa International – and served its Board from 1989 to 1995. Fadi Michel Saab, banker, was born on 1 October 1949 in Beirut, Lebanon. He has a BBA from the American University of Beirut and speaks English, French, Arabic, Russian and Armenian. Together with his father, Michel Ayoub Saab, and his brother, Ayoub-Farid Saab, founded FBME Bank Ltd (formerly known as Federal,Bank of the Middle East) in 1982 and was appointed Member of its Board of Directors, since inception. He presently is Chief Executive Director of FBME Bank Ltd. The actions of the Central Bank of Cyprus in assuming control of the Cyprus branch of FBME Bank came following the release on 17 July 2014 of a notice of findings by FinCEN, a bureau of the US Department of the Treasury (dated 15 July). A summary of this and later occurrences can be found on this website under the heading: ‘What Happened and When’, below. As soon as FBME Limited was advised of the US notice it contacted the Central Bank of Cyprus with an invitation to supervise operations to restore confidence in FBME. This was during Friday 18 July. Work continued on this basis until the late evening of Monday 21 July when, around 11 pm, the Central Bank suddenly announced a decree to take over and sell the Cyprus branch of the Bank, a move which FBME Limited regards as extremely hostile and has opposed in the courts. This abrupt decision by the Central Bank of Cyprus was hasty and ill-conceived. Since 21 July a Special Administrator, Dinos Christofides, appointed by the Central Bank of Cyprus has effectively barred transactions by depositors until the early part of September and then only on highly restricted basis. It is claimed that this is due to an absence of correspondent banking, but this is not true. In Tanzania, the head office and branches are working under the supervision of the central banking regulator, the Bank of Tanzania. There the situation is different and the regulator is allowing banking services to continue to serve customers under its supervision. This obviously is what should be happening in Cyprus. The Cypriot authorities have refused to cooperate with the home supervisor in Tanzania, in flagrant breach of normal regulatory practice. FBME Limited is the holding company for FBME Bank. The origins of the organisation go back to the 1930s when Mr Michel Saab served as a representative of a construction firm. In the early 1950s he founded the Federal Bank of Lebanon SAL (FBL). Federal Bank of the Middle East Limited was formed in Cyprus in 1982. Due to business considerations it was registered in the Cayman Islands in 1986 and changed its name to FBME Limited in 2005. FBME Bank Limited and Federal Bank of Lebanon SAL are today completely separate entities. In 1982 FBME Bank Limited’s Cyprus branch was granted a full banking business licence to operate from within the country under the supervision of the Central Bank of Cyprus, and FBME Bank Limited has now been operating in Cyprus over 30 years. The Bank was reincorporated in Tanzania in 2003 in line with FBME’s strategy in developing markets and a specific business opportunity to accept certain assets and liabilities of a bank in Tanzania in possession of a full banking licence. It continues to operate in the country under the supervision of the Bank of Tanzania. Originally formed with ownership held between the founder, Mr Michel Saab and his sons, since the passing away of Mr Michael in 1991, FBME Limited has been owned equally by Mr Ayoub-Farid M Saab and Mr Fadi M Saab. Through the holding company and its units, 438 people are employed in Cyprus, Tanzania and Russia, of whom 200 are citizens of the Republic of Cyprus. Its client base is geographically diverse, coming from 50 different countries. FBME Limited sets out here the background to developments regarding both the Notice of Findings and Notice of Proposed Rulemaking issued by the FinCEN bureau of the US Department of the Treasury, and later actions taken by the Central Bank of Cyprus and its Special Administrator in regard to the Cyprus branch of FBME Bank. On 15 July 2014 FinCEN, a bureau of the US Department of the Treasury, issued a Notice of Proposed Rulemaking naming FBME as a foreign financial institution of “primary money laundering concern pursuant to Section 311 of the USA Patriot Act” and issued a Notice of Finding. This was made public on 17 July. As soon as FBME were made aware of the announcement, it took immediate steps and on 18 July the holding company engaged its long standing legal advisers, Hogan Lovells, to represent its interests with the US Treasury and communicate the Bank’s commitment to full and unequivocal cooperation. On the morning of the 18 July 2014 the Bank requested a meeting with the Central Bank of Cyprus and invited them to supervise operations in order to restore confidence as to Anti Money Laundering compliance, particularly with correspondent banks. 18 July 2014, after an invitation from the shareholders of FBME, the Central Bank announced that it was taking over the management of FBME Bank’s Cyprus branch under the relevant laws. Outward payments were suspended. At that point the Bank’s short term liquidity ratio was 104%, meaning it could have repaid all depositors. At 11 pm on 21 July, after just one day in management control, the Central Bank of Cyprus issued a Decree for the sale of FBME Bank’s branch in the Republic of Cyprus and at that time communicated the information to FBME’s Shareholders. FBME regards this as a hostile takeover and it is being contested in the courts in Cyprus. It was clearly an ill-conceived and hasty decision made in such a short period of time. Also on 21 July the Bank’s US attorneys indicated that the US Treasury had shown willingness to enter into a dialogue with the Bank and receive additional information from the Bank regarding the matter. A period of four working days over 23, 24, 25 and 28 July ensued, during which the Cyprus branch of the Bank was closed and FBME depositors were barred from having access to their funds. Dinos Christofides, the Administrator appointed by the Central Bank of Cyprus said there would be a resumption of very limited payments, where he approved them himself. But in practice he approved next to nothing, in contradiction to Cypriot law and normal practice. In one of its few public statements, the Central Bank says this was due to correspondent banks not processing transactions, which was untrue. 30 July, Lawyers from Hogan Lovells and forensic investigators from Ernst and Young, from the USA, arrived in Cyprus with a view to assisting FBME and its shareholders in achieving a resolution of the issues raised by the FinCEN notice. They were initially refused access to FBME offices by the Special Administrator, a decision that was overturned on the advice of the Cyprus courts. At the end of July a Supreme Court hearing on FBME Bank shareholders’ injunction to stop the sale of the Cyprus branch started and this was re-convened on 7 August. The verdict the following day did not grant the injunction and other legal avenues were launched. FBME Card Services suspended business on 7 August, followed five days later by the inevitable announcement of redundancies. Altogether 75 members of Card services staff have been let go. All staff were spoken to and will receive their full entitlements. This highly regrettable development was due to the actions of the Special Administrator in blocking transactions. Cyprus is now left with just one monopolistic card issuer, JCC. The registration of arbitration with the International Chamber of Commerce in Paris, invoking investor rights under a bi-lateral Lebanon-Cyprus treaty in place since 2002, was advised to the Special Administrator on 14 August. Stefaan De Rynck, Head of Unit at the European Commission’s Directorate General Internal Market and Services, wrote to lawyers for FBME that the Commission will monitor the situation in Cyprus and ensure that no EU law is broken. On 19 August, Fitch Ratings issued a report expressing concern at the use of resolution measures on a foreign bank branch. A formal reply from the shareholders thanked the agency for its views on this matter. The Bank of Tanzania reaffirmed its rights in the FBME Bank case as the Bank’s Home Supervisor, adding that no instructions should be acted upon without its consent in matters with regard to the Cyprus branch of the Bank. Subsequently, this has been continuously and willfully ignored by the Cyprus authorities. The Supreme Court in Cyprus issued instructions on 22 August putting off further discussions regarding a sale of FBME’s Cyprus branch to 15 September, and the Central Bank of Cyprus gave an undertaking not to proceed with this sale until that date. Letter sent on 26 August to employees of FBME Bank from co-owner Fadi M Saab thanks staff for their loyalty in these difficult times and outlines shareholder strategy for dealing with the issues that the Bank is facing. Concerned about the growing proven harm done to FBME Bank, its owners announce their intention to hold personally responsible those individuals who will be found to be responsible. A Central Bank of Cyprus statement on August 28, says that it has no hostility toward FBME Bank, which was hailed by its owners. This is the first public expression of the Central Bank or the Administrator for several weeks. A subsequent Administrator statement on September 1, issued through the branch of the Bank in Cyprus, announces that depositors will have daily access of up to EUR 10,000 of their money. FBME Limited welcomed it, although later noted that the measure is subject to many reservations and restrictions, and was carried out without informing the Home Regulator of the FBME Bank Headquarters in Tanzania. Issues emerge with the access allowed to depositors to their money in amounts. Without giving proper explanation, the Administrator says that the EUR 10,000 can only be obtained to those depositors who are in or come to Cyprus. He also freezes nearly 300 accounts, without giving explanation, causing unequal treatment to depositors in the same asset class. On 5 September, this fbmeltd.com website became unavailable due to what we were told was a massive, targeted denial of service hacking attack. Action was taken immediately to move the site outside of Cyprus and within 24 hours normal service was resumed. Details of what led up to the suspension of operations at FBME Card Services were published, identifying the role of the Administrator in putting 75 people out of work. He claimed it was a lack of funds due to a collapse of correspondent banking arrangements that caused the problem, whereas at the same time the Central Bank of Cyprus still held over EUR 100 million of FBME Bank deposits. EUR 2 million would have been sufficient to have kept Card Services in operation. A furious reaction from the Administrator followed the publication of details about the collapse of Card Services, leading him to threaten not to approve payments for that organisation. These threats are still to be rescinded. A failure of the Republic of Cyprus to file on time at the District Court in Nicosia caused the court to defer from 15 September to 29 September the date for directions to be made regarding the interim application filed by FBME’s shareholders. On 18 September an Update on the actions taken by the Central Bank of Cyprus and its Administrator was published. This and questions posed to the authorities have gone unanswered. The response to FinCEN’s allegations was made on behalf of FBME Bank Limited by its international lawyers Hogan Lovells, drawing on the exhaustive inquiry carried out by specialist forensic accountants at EY (Ernst and Young). The 28-page public comment by Hogan Lovells on 22 September which accompanied this is available on this website, above. FBME demonstrated its strong commitment to compliance and its unequivocal resolve to work in cooperation with its regulators. In the light of the facts, FBME respectfully requested that the FinCEN Notice of Finding and Notice of Proposed Rulemaking be withdrawn. On 29 September, at the District Court session (delayed from the 15th) the hearing on the interim application of the FBME shareholders against the sale of the Cyprus branch of the Bank was fixed for 21 October. Statistics for those people visiting this website show that there has been 425,000 individual hits from 79 different countries until early October. The commandeering of FBME’s Cyprus Branch has truly become an international issue with questions being asked of the Central Bank of Cyprus’ actions in the Russian Upper House of Parliament. Between 13 and 20 October the Central Bank’s Administrator took himself off on unscheduled and unexplained leave, without putting in place measures to enable the Cyprus Branch to continue to process transactions. Thus, the Branch was again effectively closed down for another week. After hearing lawyers’ arguments on 21 and 22 October regarding efforts of FBME shareholders to prevent the expropriation of its Branch, the court reserved its judgment for a later date. Bizarrely, Central Bank of Cyprus lawyers denied knowledge of plans to put the dispute to arbitration and claimed, without showing evidence, to have a buyer for the Branch in waiting. 28 October, the filing for arbitration at the International Chamber of Commerce in Paris was completed by lawyers acting on behalf of the FBME shareholders. The actions of the Central Bank of Cyprus are now to be scrutinized in an international jurisdiction. 31 October, in the middle of a furious row between the Governor of the Central Bank of Cyprus on one side, and the Parliament, Government and President of the Republic on the other, a senior MP makes comments on TV on the ‘mishandling of the FBME case which has exposed the Republic to financial risk’. Just what that risk might amount to is revealed through the arbitration papers where the claim for compensation for damage to FBME Bank is put at half-a-billion dollars. The Cyprus Attorney General’s office confirms that arbitration papers have been served on it by the International Chamber of Commerce (ICC). These papers were delivered on 4 November. The Central Bank of Cyprus’s Administrator orders remaining accounts in FBME (estimated at approaching 300) to be unfrozen on 6 November. No explanation has ever been given for why these accounts were frozen in the first place. 7 November, the Central Bank of Cyprus granted an extension to the license of FBME Card Services to enable it to have more time in which to restart operations. It will be remembered that the Administrator had choked off funds to Card Services in August forcing it to suspend operations. 75 people were made redundant and Cyprus slipped into a monopoly market with JCC as the only acquirer. Subsequently, market prices went up across the board affecting just about the whole population. 12 November, FBME shareholders say again that they hold individuals in the Central Bank of Cyprus personally liable for damage. 20 November, FBME Bank’s Home Supervisor, the Bank of Tanzania, working with FBME’s head office and shareholders, transfers millions of euros to the Central Bank of Cyprus to renew liquidity to maintain transactions for customers. Initially, CBC had appeared unwilling to cooperate. FBME confirms that it remains highly solvent with current liquidity of its Cyprus branch with correspondent banks at 96%. Arbitration papers are released by FBME shareholders which reveal claims for compensation at US$ 500 million. Questions are being asked of the Cyprus Central Bank’s actions by taxpayers (who will be expected to foot any payout) and parliamentarians. 1 December, the District Court judge hears submissions in the cases brought by FBME’s shareholders to halt moves to sell the Bank’s Cyprus branch and suffer further damage. She once more reserves judgment to a later date. Hundreds of pages of additional research carried out by forensic accountants at international firm E&Y are delivered to FinCEN on 1 December. FBME shareholders announce that its legal counsel in the arbitration at the ICC is Quinn Emanuel; the arbitrator appointed is Professor Ibrahim Fadlallah, a world-leader and Professor in Law at the University of Paris. 5 December was the deadline for the Republic of Cyprus to respond to the ICC with details of its arbitrator. The Republic requested for an extension which was granted to 7 January. It is revealed that the Central Bank of Cyprus is levying an ECB-mandated standard penalty on additional FBME Bank funds over the specified level held in its own accounts. This is despite having created the circumstances whereby FBME has been forced to move these funds into it keeping. The Administrator assures FBME management that this penalty should be reversed. 10 to 15 December, the Administrator departs on an unexplained absence from the Cyprus Branch of FBME, thus forcing it to effectively close for transactions. A warning of only a few hours was all that was given. In rejecting the shareholders’ interim application to halt any proposed sale of the Bank’s Cyprus Branch, deemed a hostile takeover, on 17 December the Nicosia District Court ignored FBME shareholders’ filing for arbitration . The shareholders file an appeal. 2015. The daily transaction rate approved by the Central Bank’s Administrator for FBME Bank customers in Cyprus was cut to EUR 1,000 from EUR 2,000. He cites concerns over liquidity despite the fact that the Central Bank of Cyprus holds more of FBME funds than ever at EUR 155 million. 21 January, FinCEN holds meetings with FBME Bank representatives in Washington to review the response to its original allegations against the Bank made in July 2014. FBME Bank respectfully requested that the FinCEN Notice and NPRM be withdrawn and commits to continuing cooperation with FinCEN. The three-man arbitral tribunal at the ICC in Paris is comprised by Professor Pierre Tercier (chairman), Professor Ibrahim Fadlallah and Mr V V Veeder QC. One of its first tasks is to review damaging actions taken against FBME Bank since the 28 October filing for arbitration. Figures reveal that 58,000 individuals users from 144 countries accessed this website in the last four months of 2014, amassing a 600,000 hit rate. On 1 February, a member of the board of the Central Bank of Cyprus, Stavros Zenios, used his blog to attack the CBC for its resistance to reform, which he wrote was especially prevalent among senior management. Two days later, the CBC announced the commissioning of a study into its functions and a request for tenders to carry out this study was published in the local media a short time after. The Cyprus Competition Commission started hearings in mid-February into its findings against JCC Payment Systems, its shareholders and others regarding anti-competitive practices. The complaint is being pursued by FBME Card Services and the hearings are expected to last until late March. FBME Bank funds held by the CBC are currently at around EUR 160 million. The Cyprus business newspaper, the Financial Mirror (issued dated 25 February), wrote that some EUR 270 million of FBME funds have been moved by the CBC to Bank of Cyprus since this crisis began. FBME’s percentage ratio of Placements to Deposits in February was 89.13%, and Placements plus Bonds to Total Deposits was 103.29%. The CBC’s Administrator in FBME Bank’s Cyprus branch disappeared for an unscheduled holiday from 18 to 24 February, leaving no deputy in place and causing a freeze on transactions during this time. On his return, he reminded staff of the 8.30 am to 5.00 pm working day, while he himself leaves each day at 2.00 pm. Cyprus’ Members of Parliament scheduled an oversight committee hearing into the FBME case for 17 February at which senior government and CBC officials were expected to attend. This was postponed at the request of the Attorney General who was concerned that matters could emerge which would harm the Republic’s case in litigation and arbitration. On 20 February, the arbitral tribunal at the ICC issued its first order ‘strongly inviting’ the CBC not to sell the FBME branch or change its status, and to put a halt moves to take more its funds into the CBC, while discussions on interim measures are underway. The Central Bank of Cyprus finally stopped charging FBME the ECB levy for keeping more than the statutory 1% in the CBC’s accounts. FBME has had no say in the matter and was something the CBC itself brought about. In a bizarre development, the Administrator unilaterally cut the daily payout rate to EUR 200 from EUR 1,000 per account in early March, citing the need to preserve liquidity. It was pointed out to him that the CBC holds EUR 160 million of FBME deposits. This was followed by a letter from lawyers representing the Republic of Cyprus in which it was claimed the Cyprus branch of FBME may have to be closed due to a need to preserve funds for deposit protection. They didn’t seem to appreciate that a bank’s own funds are not there to be used for deposit protection meaning that the branch remains fully liquid. A 17 March letter from FBME’s lawyers to the Attorney General of Cyprus was reported on by the leading Cyprus media organisation, Sigma Live. According to the organisation’s website, the letter said some of the actions of the CBC’s Administrator may “constitute serious criminal offenses”. It asked the Attorney General to investigate the matter. 23 March was the last day of the hearings in the Competition Complaint. This is reviewing findings of monopolistic practices by JCC, its shareholders and others and follows a complaint from FBME Card Services. It is expected that there could be several months before a judgment is made. Two members of the Board of the Central Bank of Cyprus, Stelios Kiliaris and Stavros Zenios, resigned from the body in March citing major disquiet with the performance of the institution. Mr Zenios cited a number of reasons for his resignation, including his concern at the handling of the FBME matter. On 30 March formal hearings were held in the arbitration process at the ICC in Paris looking into Interim Measures designed to reverse measures against the Cyprus branch of FBME Bank by CBC. Outcomes are pending. On 31 March the Parliamentary hearings into the conduct of officials in the FBME affair, originally planned for 17 February, were to commence. Senior government officials including the Governor of the central bank failed to attend, leading to fury from MPs. The hearings are now slated for 21 April. Letters from FBME management on 2 and 13 March offered help and guidance to the CBC’s Administrator in improving his management of the branch but they remain unanswered until 15 April when the Administrator in writing firmly slams shut the door on any cooperation. FBME managers from audit, compliance, risk and IT security functions complain directly to the CBC that they are being prevented from carrying out their vital roles. The Administrator, Dinos Christofides threatens them all with dismissal. On 9 April FinCEN published confirmation of a meeting held with FBME’s legal representatives Hogan Lovells in Washington. A press release from FBME Limited discussed matters raised with FinCEN concerning Section 311 of the USA Patriot Act, which states that FinCEN must consider a number of factors before making final decisions. These factors are whether similar action against the Bank has been taken by any other nation or group, whether proposed actions would create disadvantages for financial organisations in the USA, and whether there will be an adverse impact on legitimate businesses involving FBME. The Bank’s representatives argue that these factors support a rescission of the Notice of Proposed Rule Making. The twice rearranged hearing at the Cyprus Parliament into the conduct of the CBC in regard to FBME was again abandoned on 21 April due to the non-appearance of senior Civil Servants. MPs expressed anger at this extraordinary denial of the rights of the country’s elected representatives to investigate the actions of the civil servants. Head of the Parliamentary committee looking into the central bank’s actions, Demetris Syllouris, said on Sigma TV that the investigation will continue. He said that the actions taken against FBME would not have happened if it was a Cypriot-owned bank. MP Aristos Damaniou said “… if there is a loss against the public it will be due to the actions and omissions of those who launched these issues” meaning senior officials at CBC. The CBC-appointed Administrator of the Cyprus branch of FBME Bank, Dinos Christofides is again away from 20 to 27 April, meaning depositors are unable to access their funds. Serious concerns are growing that numbers of people in Cyprus are falling behind in obtaining their salaries as a result of this behaviour. On 30 April, a new investigation is launched by the CBC using D L A Piper, Kroll and Georgiades & Pelides. Given that this comes after five earlier investigations commissioned by CBC, the results of which have been never disclosed, commentators are increasingly worried at what seems to be a vindictive witch hunt. Nine months into this episode and the CBC is no nearer to clearing up serious criticism over its motives. Nothing has been achieved except damage and risk to depositors, taxpayers, employees, investors and the reputation of the central bank. A second Administrator, accountant Andrew Andronikou, has been appointed by CBC at five times the remuneration of the first Administrator. According to the letter of appointment, he can share this remuneration with other up to four consultants if he so chooses. Others involved in the new investigation include a Cyprus law firm, the international law firm DLA Piper, Kroll and the security company G4. It is assumed the cost is borne by FBME but no advice has been given to FBME and no evidence of a proper tender and purchasing process put in place. On 15 May 2015, nearly 10 months into his role, the first Administrator Dinos Christofides abruptly quits his role. In conversation he made it clear that not all is well. The second Administrator, Andrew Andronikou, is set to take over though, bizarrely, he has no banking experience and seems mystified with aspects of his role. FBME Managers renew their offer to help. The International Chamber of Commerce’s Arbitral Tribunal issues its Procedural Order 3 which is welcomed by FBME. Among its elements the Order calls for all parties from FBME, BoT and CBC to cooperate to improve the condition and running of the branch for the better of customers, employees and affiliates. During May and June the CBC becomes even more embroiled in a number of scandals which affect the institution; its management and its Governor. Sources say the CBC is rudderless, with no one at the helm and a risk of mutiny led by leading figures. A Limassol law firm claiming to act on behalf of the new Administrator writes to employees threatening them if there are more leaks to the media and websites, including this one. This letter immediately appears in the Cyprus press and on websites. Cyprus media raise alarm bells over the sense of growing risk and damage to institutions and the government of Cyprus from CBC’s actions. Finally, the anomaly of a daily EUR 200 payout to depositors is abandoned and the amount changes to EUR 1,000 a week. On 10 July, the CBC issues what is virtually its first statement on the FBME episode in nearly 12 months with a series of terse and unverified claims. It is taken as a sign of the need for a change in directions, including a willingness to cooperate with FBME to solve the problems, which is eagerly taken up by FBME management who suggested a meeting at the earliest opportunity. FBME directors and management, it will be remembered, have been the same for the best part of a year without receiving a single reply. To mark the anniversary of the FinCEN allegations against FBME Bank and the foisting of Resolution measures on the Cyprus branch of FBME by the Cyprus authorities, a number of stories on the debacle appeared in the media around the third week in July. The conclusion was that there have been only losers in this episode and the articles explained the likely costs, both material and reputational, to depositors, employees, officials and taxpayers. On July 23, FinCEN issued a final ruling against FBME Bank Ltd, which if implemented would prohibit US banks from dealing with the institution. On the following day FBME issued a statement rejecting the FinCEN claims. It subsequently added that ‘FinCEN’s decision cannot withstand scrutiny’. On 27 July, the Bank stated that it will pursue all available avenues to defend itself against ‘this arbitrary and unjustified action’, including filing in US federal court. After studying the arguments and reviewing submissions from FBME and FinCEN, the US district court for the District of Columbia (Washington) granted a preliminary injunction against FinCEN and other US defendants to prevent the final rule taking effect until the Court enters a final judgement. In further good news, the ICC’s Arbitral Tribunal in Paris ruled on 10 September that it has jurisdiction over the arbitration proceedings between the owners of FBME Bank Limited and the Republic of Cyprus. In doing so, the Tribunal dismissed the Republic’s argument that the owners were not protected by the 2003 bilateral investment treaty between Cyprus and the Republic of Lebanon. This paves the way to the second phase of arbitration which will examine the merits of the case, damages and compensation. Forced to suspend operations and make 75 employees redundant by the CBC actions in cutting off access to its bank accounts, FBME’s Card Services moves its remaining operations into the Bank’s new premises in Nicosia. The company continues to support the action by the Competition Commission against the monopolistic practices of Cyprus’s only other card processor, JCC Payment Systems. In early October, the CBC applies for a selective change to the Cyprus Resolution Law that will benefit only depositors and creditors who lost millions in the country’s defunct Laiki Bank. The same benefit is not being extended to FBME’s depositors and shareholders. To try to relieve the impasse created since July 2014 by the CBC blocking access by FBME depositors to their funds, FBME recommends migrating the accounts held in its Cyprus branch to the Bank’s head office in Tanzania. CBC refuses to cooperate. The vindictive behaviour of the CBC towards FBME and its depositors is held up to critical scrutiny both inside Cyprus and international amid suggestions of a growing final bill for the Republic. In a further desperate measure, the CBC attempts on 30 October to order the Bank of Tanzania (BoT) to have correspondent banks release all FBME deposits to the Cyprus regulators. It quotes a fictitious agreement with the BoT. In conversation, its representatives apparently claim this is so that it can pay future claims for compensation: in other words, to use Bank and depositor funds to pay claims from the Bank and its depositors! The order is ignored. On 6 November in the USA, the US judiciary grants a voluntary remand for FinCEN to complete a new administrative process in its case with FBME, and instructs it to disclose its unclassified evidence. A four month period is given in which this is to be completed. In a desperate act to add a shred of credibility to its case against FBME, the CBC accuses the Bank of AML deficiencies in its procedures (but not in its transactions, tellingly). The CBC quotes supposed evidence emerging from a mid-2014 audit report, though the firm that conducted a CBC-commissioned audit of FBME at that time, PwC, says that it did not contribute to such a report. Former Attorney General of Cyprus, Alekos Markides, writes an open letter to the President of the Republic, Nicos Anastasiades, warning him of the grave consequences to the country of the CBC mishandling of the FBME case. As the pressure on the CBC grows, in November it announces its intention to revoke the license of the FBME branch in Cyprus saying that the branch has become inoperable and brings to an end its resolution of the branch. It ignores the fact that this inoperability is entirely due to actions of the CBC itself, and that the ending of the resolution should halt the basis for its control of the branch. FBME launches a legal campaign and a defiant rejection of the CBC action. All cheque payments for depositors are stopped. Bizarrely, the CBC attempts to order the BoT to close FBME operations in Tanzania. The FBME Chairman writes an open letter to the Cyprus President offering even at this late stage to meet to reduce the risks caused by the CBC. The President replies that he is unable to intervene due to continuing legal actions. On 31 December, the contract of the CBC-appointed Administrator, Andrew Andronikou, is not renewed by the CBC amid rumours of serious disagreements. Eleven days elapse before a new Administrator, the third in the saga, is appointed. He is Chris Iacovides and immediately tells FBME management that he sees his role as being to preserve the Bank and its Cyprus branch. 2016. In attempting to get an ex parte judgment from the Supreme Court to allow its revocation of the FBME license, the CBC tries to get the judgement without FBME or its lawyers finding out what is afoot. This fails, as does the application as the Supreme Court orders a halt to the CBC’s actions. New judicial hearings started in Cyprus on 19 January – with both sides present. In a reply to correspondence from the FBME Chairman, the President of the Cyprus Republic, Nicos Anastasiades, declines to intervene in the matters surrounding the CBC’s mishandling of the crisis, due to legal proceedings. FBME Bank Limited’s lawyers publish a public comment on the inadequacies of FinCEN’s procedures leading to its Final Rule. Independent specialist commentators in the US and elsewhere echo these concerns, accusing FinCEN of violating the US Administrative Procedures Act. FinCEN, it is averred, is acting in ways reminiscent of the “lawless and oppressive Star Chamber,” and of fulfilling “its own policy goals contrary to the public interest.” Academics, lawmakers and bankers call for increased supervision of FinCEN. On 11 February, a former Governor of the Central Bank of Cyprus expresses surprise at FinCEN’s actions against FBME, which he suggests are fuelled by special interest groups in Cyprus. 26 March – FinCEN renews its Final Rule allegations against FBME. FBME counters by stating this is not a ‘final rule’ at all, but merely a precursor to further action in the US courts. On 2 April, the new Administrator appointed by the CBC to close FBME in Cyprus, issues dismissal orders without full rights to 136 out of 165 of FBME Bank employees in Cyprus. This action, described as unlawful, provokes a backlash in the media, among the public and political parties, and from employees. By 12 April all FBME bank employees in Cyprus have walked out on indefinite strike. On 9 April the CBC announces that insured depositors should apply for their deposit protection insurance payout. This is restricted to EUR 100,000 per account holder and is announced without clearance from the courts in Cyprus. Fewer than 120 out of 6,500 insured depositors of the Cyprus branch of FBME Bank apply for the payout. It is seen clearly as an attempt to prevent depositors exercising their full rights in law against the CBC. FBME Bank remains solvent and is able to meet depositors’ demands. Amid a torrent of criticism of the actions of the CBC and its latest Administrator, former Cyprus Attorney General, Alekos Markides, attacks the CBC on Cyprus TV describing its policies against FBME as “malicious, incompetent and an arbitrary use of power”. On 2 May the head of FinCEN, the US agency whose actions sparked the crisis, announces her resignation from the body.